Liz Holtz, owner of Liz Lovely, works on coating cinnamon sugar cookies on the production line at her bakery in Waitsfield on March 19. Liz Lovely specializes in making vegan, gluten-, and GMO-free cookies. Vermont cookie maker went from Whole Foods to 'Shark Tank,' then vanished. What happened? 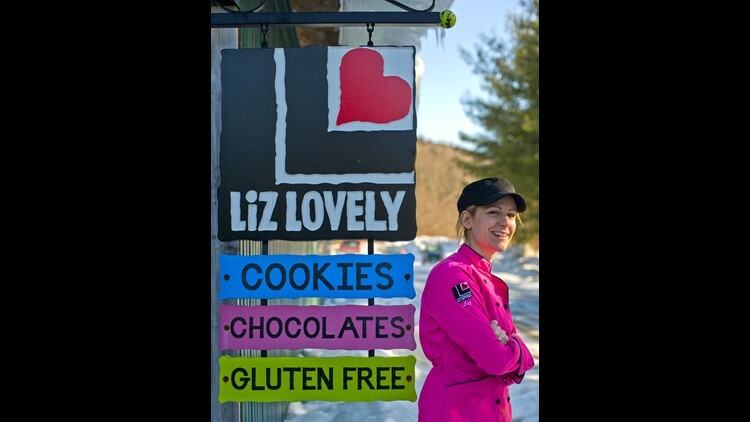 The clues for the demise of Vermont cookie maker Liz Lovely are scattered across the internet like bread crumbs on a trail. On the website for Liz Lovely cookies: "New and improved coming Fall 2017." This, as the summer of 2018 draws to a close. On Amazon.com, where the gluten-free Cowboy Cookie is advertised: "Currently unavailable." A review on Yelp, dated March 30: "These were really utterly terrific cookies. I first came across them at a Whole Foods. Gone. Gone everywhere I have looked, like Amazon, too. Whither Liz? Can somebody from Vermont please post what happened?" Indeed, what happened to this company based in Waitsfield, which grew over 13 years to employ 24 people and generate sales of nearly $2 million annually? It's a complicated story, told here for the first time. First, it's important to recognize how suddenly and utterly the cookies stopped coming. Cherie Cyr, specialty foods manager at Healthy Living Market and Cafe in South Burlington, received a letter in June 2017 from Liz Scott, founder and CEO of Liz Lovely. It said the company had faced some challenges that would keep the cookies off the shelves for a few months. Scott explained in the letter, "We had a manufacturer breach contract when they weren't delivering the quality of product we have always promised you." The good news, Scott continued, was that she had found a "new home" where her cookies would be made, and "we will be back in stock sometime in August 2017." After receiving the letter, Cyr stocked up with enough frozen cookies to get her through a couple of months. Around the middle of August 2017, with her stock of cookies running low, Cyr tried reaching out to Liz Lovely and received no reply. She discovered that all the Liz Lovely email addresses and contacts she had were no longer in service. Cyr contacted a few vendors to see if they had any answers. "No one really seemed to know or have heard any word from Liz Lovely," Cyr said. After trying the vendors again in September, she gave up. "At this time I was done and figured Liz Lovely was, too," Cyr wrote in an email. "It really is like they disappeared off the face of the earth." The Burlington Free Press tracked down Liz Scott, now living in South Bend, Indiana. The Free Press also found her former husband Dan Holtz, now running a business in Essex Junction, Vermont. Together, the two former Liz Lovely executives and a host of other interviews and documents tell the tale of what happened to the company the couple started together — a company that appeared to be one of Vermont's entrepreneurial success stories. We also talked to Robin Morris, a Waitsfield entrepreneur and former chief financial officer of American Flatbread. Morris was instrumental in Liz Lovely's rise, and reluctantly witnessed its fall. "At the end, Liz just ran out of money," Morris said. "The business ran out of money." Liz Scott poses Aug. 8, 2018, in a park in her current home of South Bend, Indiana. The story begins in 2003 in Philadelphia, where Scott and Holtz, then married, were trying to figure out what to do after their web development business shut down, a victim of the dot.com bust. "I was a vegan at the time, shopping at Whole Foods a lot, and I saw a hole in the market," Scott told the Free Press. "There were no good cookies available." Scott developed a vegan cookie and pitched it to Whole Foods. The cookie was picked up by three stores, then seven, then 21. United Natural Foods, one of the biggest distributors of natural and organic foods in the country, also began stocking Liz Lovely cookies. And you could find them in Burlington's venerable and trendy City Market. 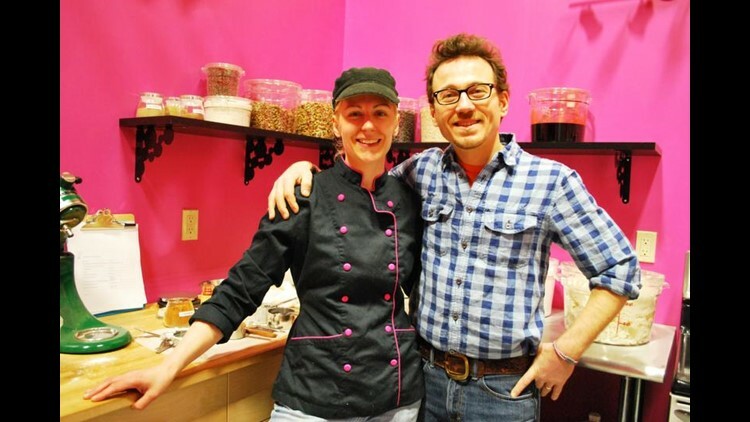 "We realized we needed a bigger bakery," Scott said. But they didn't want to build it in Philadelphia, which Scott described as a "rough scene," not in line with the couple's vision for their lives and their company. "We were more aligned with the values of Vermont," Scott said. "It didn't seem like Philadelphia understood us." Robin Morris explained that Dan Holtz had recently read a book about Ben & Jerry's written by former CEO Fred "Chico" Lager, and had reached out to Lager, telling him he wanted to move to Vermont. Lager put Holtz in touch with Morris, who had created a business incubator in the buildings vacated by Mad River Canoe about two years after the company left Waitsfield. Morris said his corporation, Irasville Incubator & Storage LLC, made a "small investment" in Liz Lovely in 2004 and built a 2,000-square-foot space for the company. He declined to say how much the corporation invested. "They had their existing accounts from Pennsylvania and business started growing," Morris said. Partners in life and business, Liz and Dan Holtz, raise capital for their gluten free cookie company, Liz Lovely, locally after competing unsuccessfully for cash on popular Los Angeles television show Shark Tank. Photo taken at Liz Lovely headquarters in Waitsfield on April 16. Liz Scott remembers feeling like she had climbed aboard a rocket. "Hunger Mountain Co-op was one of our best customers," Scott said. "We were a national business in places like that all over the country." Yet Holtz and Scott struggled to keep up with the burgeoning demand. "When they first started they were tying everything by hand," Morris remembered of the cookies' packaging line. The company got loans from Chittenden Bank and the Vermont Economic Development Authority to buy packing equipment. 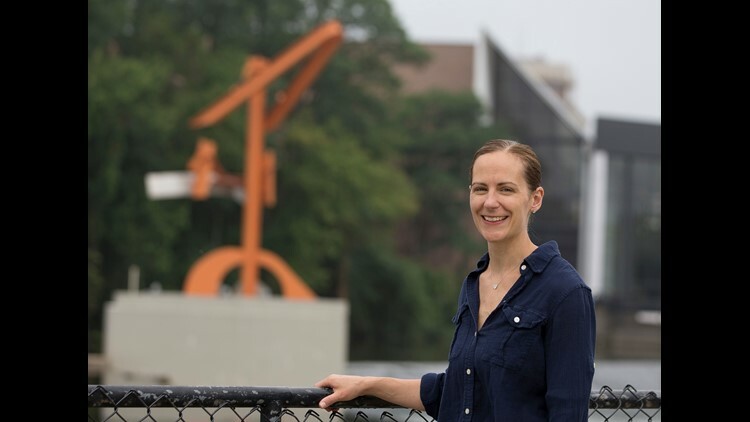 The Flexible Capital Fund also invested in Liz Lovely, and there were more individual investors, including, Holtz said, many members of his family. In September 2012, Holtz and Scott appeared on "Shark Tank," the ABC reality show featuring a cast of investors who listen to pitches from hopeful startups and more seasoned companies like Liz Lovely. Describing himself as a "gluten-free mogul," Cuban clearly had an interest in Liz Lovely. He told Holtz and Scott to make him another offer. The couple asked if they could consult in the hallway, where they went to the accompaniment of the show's dramatic music. They returned with a new offer for Cuban: A 20 percent stake in the company for $200,000. Holtz and Scott left without a deal. Liz Holtz, owner of Liz Lovely, poses for a portrait outside her commercial bakery in Waitsfield on March 19. Making his pitch to the sharks, Holtz at one point said, "We are the most relentless business people you are ever going to meet." The couple had weathered the Great Recession of 2008, which struck at the exact moment they extended themselves to place a huge bet on distributing to the West Coast. They weathered the destruction of their retail store and inventory in Waitsfield by Tropical Storm Irene in 2011. They weathered the vicissitudes of the market, which swung from wanting vegan to wanting gluten-free to wanting lower sugar content and smaller portions. Through it all, Scott prided herself on making cookies that tasted "normal," not like cardboard. Relentless or not, Scott and Holtz struggled to keep up with their success. "We had some huge deals," Holtz recalls. "We had Wegmans and some of the Whole Foods. We had Safeway. The challenge was we couldn't reliably make the product ourselves and grow. We had only the equipment we had." For her part, Scott said she doesn't think production capacity was the main problem. She believes sales were not robust enough to support the company's overhead, a challenge coupled with the difficulty of meeting the production safety standards of big customers such as Whole Foods. In the end, what Liz Lovely couldn't survive was the breakup of Holtz and Scott's marriage in 2014. The couple had been married 18 years. "It was brutal on so many levels," Scott acknowledges. Holtz offers the divorce "was not in any way amicable," and that communication between the former couple has been "very limited." He received the couple's house in Warren in the divorce settlement, but ended up filing Chapter 7 bankruptcy in August 2015. He said he was underwater on the house. A founders' agreement gave Scott first right of refusal to keep the business or walk away. There was never any doubt what she would do. "The company was everything to me," Scott said. "I wanted that company to survive." 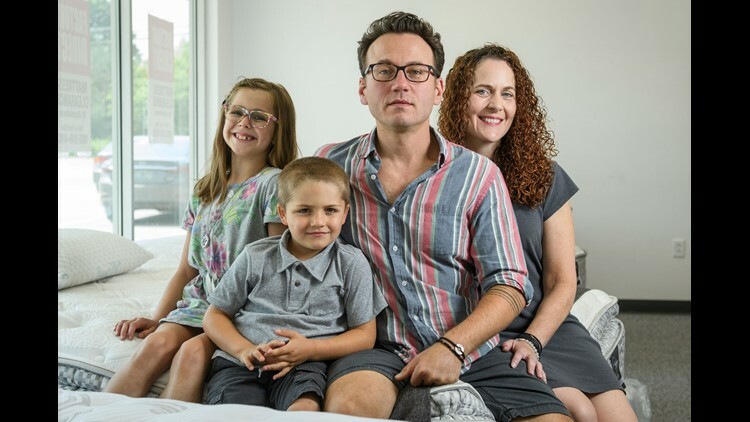 Dan Holtz (middle) and family pose for a photo in his mattress store on Sunday morning August 5, 2018 in Essex. Robin Morris marvels at the effort Scott put in for three years following the divorce. Previously, Holtz had handled sales and marketing, while she had been the force behind the product and staffing. "She had to learn how to be CEO the day after they broke up," Morris says. "And she put her heart into it." Scott's biggest challenge was to raise the money to find a bakery that could meet the standards of Whole Foods. She settled on Bristol Bakery, but says it didn't go well. That led to the letter she sent in June 2017 — the letter that Cherie Cyr at Healthy Living in South Burlington received. Kevin Harper, owner of Bristol Bakery, takes issue with Scott's oblique assertion that his bakery wasn't delivering a quality product. In a statement provided to the Free Press, Harper says he worked closely with Scott and her team to "ensure that the products met all their expectations." "Liz herself was on site for all the early production runs and told bakery staff that she was very pleased with the results," Harper said. Harper said before any cookies were shipped, Scott and her team would inspect the "many pallets of product" to make sure they were up to snuff. "There was never an order shipped that was not personally approved by Liz," Harper said. "We were informed that the cookies were selling consistently well in the marketplace." Harper added that he had never been told his bakery was in breach of contract — the terminology used in Scott's June 2017 letter to vendors. Liz Lovely stopped paying its bills at the bakery. Today, a year and a half later, Bristol Bakery is still waiting for payment on the unpaid balance. Liz Scott acknowledges that she didn't tie up the loose ends when her business failed, hence the clues scattered across the internet. She explains by saying that until about a month ago, she still harbored thoughts of restarting the company. She also acknowledges that she left behind "lots of unpaid debts." Since, Morris has paid off a line of credit he had guaranteed for Liz Lovely at Northfield Savings Bank, which repossessed all of the company equipment. Morris says his company lost its investment in Liz Lovely, although he declined to specify the total of the combined losses. "My passion is to help small business in Vermont," Morris said. "I lose money on them and I make money on them. Some fail and some don't fail. That's the natural course of business." Morris and Scott remain friends. "No one sued," Scott said. "I think they knew we didn't have any assets. I think everyone was hoping we would sell the intellectual property to pay down large amounts of debt, but I couldn't find anyone to pay enough. Liz Scott with her husband Henry Scott and her 5-month-old son Alexander. The family lives in South Bend, Indiana. On April 19, Liz Scott filed for Chapter 7 bankruptcy in Indiana, detailing a total of $636,024 in unpaid debts. Robin Morris is owed $50,000. Bristol Bakery is owed $48,000. The biggest creditors are the Flexible Capital Fund, owed $225,000; Northfield Savings Bank, owed $100,000; and the town of Bristol, owed $75,000. The town loaned Scott money out of its revolving loan fund, with her personal guarantee that she would pay the debt. Janice St. Onge, president of the Flexible Capital Fund, says every investment in a small, growing business carries risk. Nonetheless, 80 percent of the companies the fund has backed are "still around," providing goods and services, and jobs, she says. 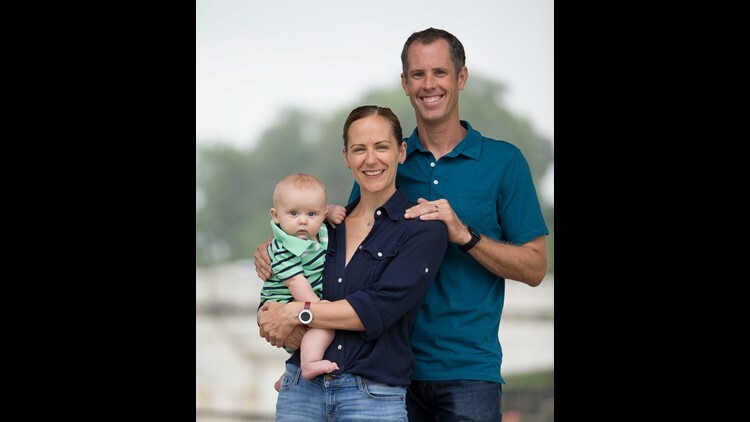 Today, both Liz Scott and Dan Holtz have each remarried and share custody of their two children. Holtz is running a mattress business in Essex Junction. Scott just had a baby, and is figuring out what to do next. She says she wouldn't trade her experience at Liz Lovely for anything. She's grateful to the investors and customers she had, and she misses her employees. "It's still my baby," Scott says of the company. "That sounds delusional coming from me. I have had to let it go even though I would have preferred not to let it go. "Sometimes a great product isn't enough."